Students after SPM or O-Levels in the northern region of Malaysia who are interested in pursuing a top business diploma can consider the 2-year diploma in business at KDU Penang University College. Upon completion of the diploma, graduates can continue on into Year 2 of the BA (Hons) Business Management degree UK dual award from a top 50 UK university. KDU Penang University College offers the UK Dual Award Business Management degree. Graduates of the BA (Hons) Business Management course will receive the degree awarded by KDU Penang University College and University of Lincoln which is a Top 50 Ranked university in the UK. Hence, the best university to study business management in Penang is KDU Penang University College. Students after SPM, UEC, STPM, O-Levels or A-Levels interested to register at KDU Penang University College may go to this link. Affordable Accommodation is provided. Scholarships are available. The Bachelor of Arts (Hons) Business Management dual award programme at KDU Penang University College equips students who intend to enter the business industry with the complete knowledge of handling a business. KDU Penang University College in collaboration with the University of Lincoln (UK) is designed to meet industry expectations with an emphasis on knowledge application to ensure graduates ‘hit the ground running’. Our students are innovators, independent thinkers, highly skilled and most of all has the edge to succeed in a globalised business environment. In this specially tailored programme students will not receive only one degree but TWO bachelor degree awards, an excellent value, especially from two leading institutions of higher learning. KDU Penang’s flagship Dual Award Degrees offer students an outstanding educational experience in which students not only receive a KDU Penang University College degree but also a UK degree award from the University of Lincoln. Students also enjoy an option to study abroad which is available in their last year of studies at the University of Lincoln campus in the UK. core business skills. Students can build on these by selecting one of the two specialist areas, either in entrepreneurship or marketing. KDU Penang business students who opt for entrepreneurship electives are trained in the process of business opportunity identification, design, organisation of resources, and managing a new company. Meanwhile, marketing electives equip students with cutting-edge marketing knowledge that prepares them for careers in advertising, marketing management, branding, and customer relationship management in local or multinational companies. To further ensure KDU Penang graduates are employment ready, students are required to complete an internship as part of their programme of study. KDU Penang’s Business Management Dual Awards degree are perfect for honing your business skills and allow you to Hit the Ground Running! Careers prospects include: Business Development Manager, Entrepreneur, General Manager, Human Resource Manager, Marketing Manager, Market Research Analyst, Operation Project Manager, and Procurement Manager. The challenging world of business is more demanding now than ever. Managing changes, crisis, risks and human resource demands creativity and speed in getting solutions to problems. A good foundation in the fundamentals of management is crucial. Entrepreneurial skills are no longer an option but a requisite. Choosing a relevant business degree with all the requirements is essential. At KDU Penang, our business degrees provide you with no less than what you require to succeed in the world of international business. The numerous awards won in competitions organised by the Multimedia Development Corporation (MDEC) are testaments to the quality education at KDU Penang. KDU Penang University College dedicated to providing superior learning experience in terms of teaching and learning experience to ensure that our graduates are able to meet industry needs and expectations. KDU Penang University College academic programmes are designed in a way to incorporate experiential knowledge enhancement trips with the bringing-the-classroom-to-the-industry or vice versa initiatives. These industrial trips enable students to not only be aware of the working environment but also to benefit from a lecture or discussion on topics related to their syllabus delivered by industrial practitioners – who share the needs and expectations of the industry. KDU Penang students also benefit from CEO Series or guest speaker series where prominent industry leaders come and share with students their journey to excellence. 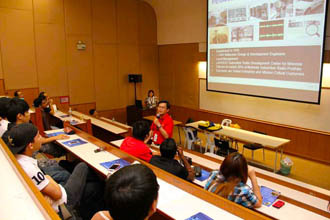 KDU Penang University College is the only private Business School in the northern region which offers distinct business studies learning facilities such as their own Business Lounge where students can interact and practise their skills in order to be prepared for the real business environment. One of the outcomes of having superior facilities is that our students – both at diploma and degree levels – have successfully participated and won numerous prizes annually in the MDEC organised competitions. KDU Business qualification provides graduates with a qualification that is professionally recognised. Professional bodies such as MQA, SIRIM, CIMA, IPAA and MAICSA have evaluated and recognised the academic quality of our academic programmes. KDU Penang University College diploma graduates, upon completion of their studies are eligible for CIMA certificate level qualification and can proceed to the CIMA diploma level qualification by just attempting 3 additional modules from CIMA diploma. Institute of Public Accountants of Australia (IPAA) has accredited KDU Penang’s diploma programme and now our diploma graduates are eligible for the IPAA membership. 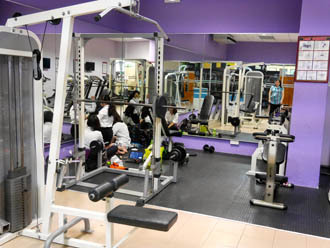 KDU University College Penang offer the best facilities for students in Penang to excel in their studies. Students after SPM, UEC, STPM, O-Levels or A-Levels interested to register at KDU University College Penang may go to this link. Affordable Accommodation is provided. Scholarships are available. then, the KDU Penang has grown by leaps and bounds. Now, sitting proudly at Jalan Anson, KDU Penang is the most popular private tertiary education provider in the northern region. It has international alumni from 48 countries around the world. KDU prides itself with its impressive alumni of more than 45,000 graduates. KDU Penang’s range of internationally recognized industry-driven academic programmes covers a wide level of offerings from Certificate to Diploma and Degree level programmes. All its programmes are accredited by the Malaysian Qualifications Agency and are internationally affiliated with top universities around the globe such as KEELE and Northumbria University from the United Kingdom and the IMI University Centre from Switzerland. VLSI engineering labs, Games and Multimedia Computing Design Labs, Business Boardrooms and Lounge, Mock Hotel Suites and many more. All this helps ensure that every KDU student is well prepared to be gainfully employed upon graduation – an indisputable fact that has strengthened the institution’s impressive 90% graduate employability rate. Over a span of 23 years, our students continue to do us proud with a string of successes in various national and international competitions. In July 2013, KDU Penang was also awarded the Penang MPSP Green Industry Award for the SME Education and Awareness category. Moving forward, KDU Penang will be upgrading itself to University College status by end of 2014. Known as Malaysia’s Premier Island City Campus, it will also be enhancing its campus learning experience with a brand new ‘Green’ campus in the Batu Kawan area in Penang by 2020.